You have reached the St.Patrick's Day hub! Celebrate St. Patrick's day with deepest feelings! Time to be Irish once again. 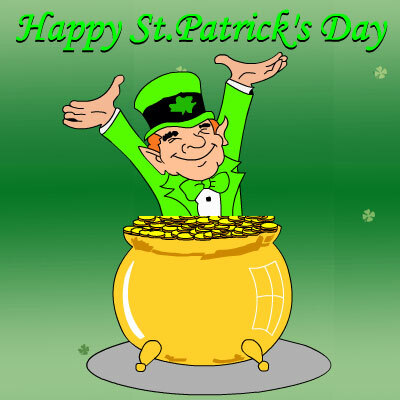 Presenting you with some Irish Greeting cards, Jokes and History. Just browse down and enjoy the free celebrations and resourses.Feel free to refer this site to your friends and loved ones. Happy Paddy's Day !